Copyright Kelly Hampton 2011. Channeled from Archangel Michael to Kelly Hampton. May be shared with permission. We were not finished with our discussion of Atlantis and it has also been bought to my attention that many souls are asking for guidance about the Syrians. So I will be happy to continue speaking of Atlantis and introducing knowledge of the Syrians. The lost continent of Atlantis to continue is going to be heralding a new dawn and the new dawn is as stated previously an elixir of life. It is however, not the only discovered ancient wisdom that will be known to your world in the years ahead. Those energies that are responsible for the rising of Atlantis will also be responsible for the rising of other lost civilizations such as the Incan, the Mayan, the Egyptian, the Roman, the Ottoman, or Turkish. You may be saying “Well there are other lost empires angel, why don’t you mention these?” and I say to you perhaps one day I will, but for now as it is structured the best parts of these civilizations, these empires will be coming to the surface of human awareness. Notice I said the best parts this is where you might say that the Mayan prophecies tie in as a thread. The truth which has been written is that, the Mayan calendar prophesied this reawakening to which I will agree. Across the world from The Great Barrier Reef and the lost continent of Atlantis, which will be renamed Sirias; it is where the new Mayan energy will emerge. I am not suggesting that another land mass will be forming itself in the next 100 years but, I am suggesting that there is a special set of energetic frequencies which are already in place for this to be so that in the next 200-300 years there will be a newly discovered landmass again rising from the floors of the ocean off the coast of Mexico near Costa Rica. If you can imagine the energies of a high intelligence floating over this area of the world and you have x-ray vision like some say I do, and some of you do, then this is what you can image I am talking about. This energy is filled with love, kindness, acceptance, non-judgment, peace and harmony. In fact, all of the other energetic markers that I will be describing which are the lost continents previously mentioned will have these same characteristics. Let us move over to the essence of the Roman Empire and the word essence means the very best eternal sense of something es-sence – look it up become familiar with the word essence if you desire. For example, the essence of the gardenia is the beautiful aroma, the essence of the sun is its’ healing warmth. The essence of the Roman Empire is being birthed now and it is being birthed over the landmasses of present day Italy, Sicily, and Croatia. For your understanding, the same energy essence of the Egyptian empire is already forming over the present day Sahara desert. When these three energies surface on Earth most likely most of you will be seeing this from the Kingdom of Heaven. The essence of the Incan Empire will be found in the Amazonian basin. What this means though however, and why I feel it is useful about this energy forming now is to fill you with wisdom, spiritual truth, hope and enlightenment. We in the divine realm like to work like this; we like to facilitate cosmic multi-universal changes in many dimensions not just yours and we do this in other dimensions and your dimension Earth by working in what some call and I will call quadrants, so that the quadrants in which I am trying to identify; the first round primary quadrants of Ascension will be the Mayan Empire, the Roman Empire, the Egyptian Empire, Incan Empire and the Atlantean Empire. This same approach to consciousness rising has been done in other galaxies as well. It is much easier to lift up an object if you lift up by all 4 corners than if you try to lift it up from the middle. Imagine if you will for a moment, that within each of these renewed civilizations the best part of their contributions are given a new life. Imagine what this means. I will guide you. I suggest that one of the Roman essences from the mighty Roman Empire in your world was actually the essence of courage. I am not saying that mankind interpreted the essence of courage properly, but I am saying from a spiritual standpoint, that was the soul essence of that particular empire. Yes, particular empires can have soul essences just as an individual can. I suggest to you that the essence of the Incan civilization/empire was telepathy. Again not the entire empire’s history demonstrated the highest essence of telepathy and communion but nevertheless, that is the essence; the highest, the purest form of telecommunicating between heaven and earth was the essence of the great Incan civilization and it is the energy which is building there again now and will be built upon in the decades to come. For your understanding, would any of you like to guess what the essence of the Mayan culture the Great Mayan empire was? No, it wasn’t barbarism. No, it wasn’t persecution. It was faith. I hear some of you having dissension with this idea and while I honor this if you are following me, what I am trying to communication is that mankind before mankind’s actions; mankind’s thoughts did not fulfill the soul essence of any of these empires. The promise is that this next time mankind will. The soul essence of the Egyptian Empire, (would anyone like to a guess?) is resourcefulness. Lastly, the soul essence of the lost continent of Atlantis is harmony. Later, there will be asecond round of other civilizations which come to be reborn again, not to discount any soul that may have ancestors or be themselves from another region not mentioned. Do not confuse your worth with what I am talking about here– neither exalt it nor diminish it. The level of potential for loving one another will be at its highest peaks since the dawn of creation. In the next several decades your entire world will be seen as one great Italian renaissance with every soul producing great beauty in thought, action and deed. As briefly mentioned the lost continent of Atlantis will be renamed Sirius or shall we say be named Sirius because it will be a new realization in a sense not to be confused with Syria or Damascus. But Sirias as in the eighth dimension; Sirias, as in another dimension outside of your own; Sirias, as in a collective intelligence outside of your own; Sirius as a set of stars or a constellation already known to many. It is indeed the Sirian people or the Sirian race, if you will, who will assist in giving rise to this particular energy. Some of you may already be familiar with the Sirians or the Sirian energy. They are very different from the Pleiadians and the Pleiadian energy because they originated from another dimension. To make the mistake that they are one in the same would be a bit like comparing apples to oranges. Some of you may even remember King Sirias from your studies. If you have then I congratulate you. If you haven’t, do not internalize this because the important concept in sharing this with you is to restate to you in a bit of a different way, that there are many dimensional beings from many dimensions which your world will be learning of in 2012 and in the years beyond. Plato, the astronomer knew this; knew of them. Leonardo DaVinci, the great thinker and mathematician knew of them; believed of this concept. Many great masters of the Indian faith also have known of this. The difference however, is that more of mankind will come to accept this as truth. Why? Well for one thing, there will be more and more sightings of extraterrestrial beings after the arrival of 2012 and two, the ability for those in power to cover these visitations up will be diminished. If your mind can leap into 200 years from now again imagine ten different colonies being developed from higher life forms; from other dimensions; as this is how it will be. Now I would like to shift gears a bit back to a more comprehensive discussion about good versus evil during this period and lightness over coming darkness; because this can be seen as a thread of 2012; lightness overcoming darkness. Some in your world are asking “Does 2012 mean there will be a second coming of Christ?” and I say to you yes, in some sense that 2012 will signify the time there will be a dramatic rise in Christ consciousness but Christ is not the only holy master. All holy masters who have lived in your world have been anointed to return. It is within each of you! That is where I think the new awareness should lie within you. Let me restate this again, because this is very important and cause for great celebration! The years of 2012 and beyond will see the resurrection of the soul essence all of the masters that have walked your earth. How great and glorious a divine plan is this! New holy masters offering new and even more profound wisdom and healing will be born. Three new masters will be born amongst the ones your world already knows; the other major distinction in this is however, that the masters will not represent Earthly religion any longer. The masters will be seen as spiritual masters. They will no longer have a chain or a link attached to a particular sect. Hallelujah! Shalom! Namaste! If you are imagining this future you are imagining your world with new eyes. You’re also imagining your world as you, yourselves are raised in consciousness. Your entire planet is evolving to the point so that everyone on it is a master; a spiritual master. During this process there are going to be some interruptions in the flow; darkness you might say. Because at any time in any galaxy when the power of ascension increased so does the attempt of darkness. The key word to focus here on is attempt. Think of it this way– if you are outside on a sunny day and you could lift yourself off in a back-pack rocket propelling device so you could approach the sun, the closer you got to the sun the more blinding the light. If you are in the white light you wear sunglasses. You simply reach into your pocket and put on sunglasses. If you are not in the white light; the white light blinds you; you are frightened. It might even cause you some pain. So while the global ascension process is going on there will be uprisings of a dark nature, most of these will be unseen as I say, though my words seem real. I am a spiritual being in a spiritual dimension or dimensions. Largely this statement relates to unseen spiritual battles of goodness versus evil. Some have come to me and asked, “I have heard that the devil is coming again to earth in 2012 as well, angel.” To which I say this is impossible. Are there dark unseen forces at work in your world today? Yes, absolutely so. Are these dark forces the devil? Absolutely not– for there is no such thing as the devil. There are soul particles that will be forever grey without change, without light goodness and salvation. Expect an evil one to rise out of the lands of South Africa; expect an evil one to rise out of the United Kingdom; expect an evil one to rise out of the United States of America. It is likely their energy will give rise to uprisings. We in the angelic realm are battling this every day and we are winning; you who are spreading light and goodness are battling this also everyday of your lives. Light will be victorious by 2012. This concludes the end of part one. 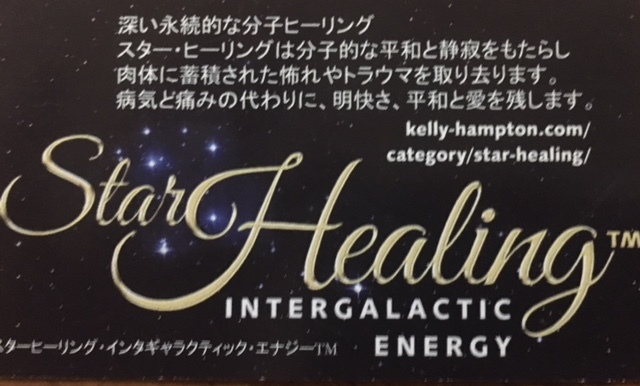 HOW DOES STAR HEALING DIFFER FROM OTHER FORMS OF ENERGY HEALING?